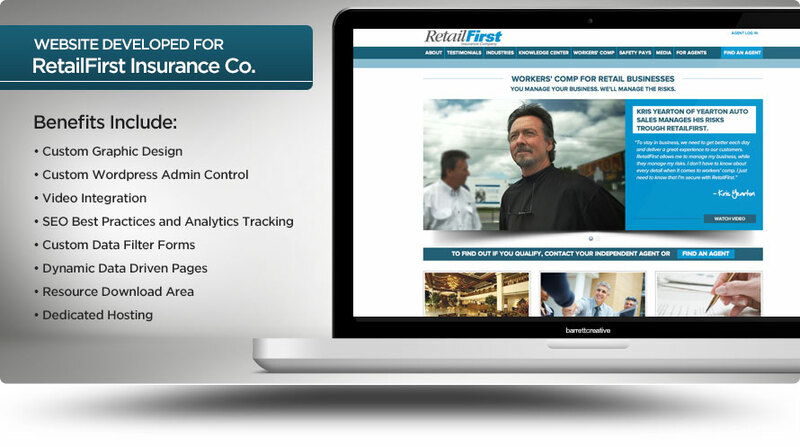 Creating the RetailFirst website was a really fun project. RetailFirst was a company that had been around for years under a different name and identity and they now wanted to target retailers directly in regards to workers compensation insurance. We knew we wanted to design the website to be a couple things…an educational source, a resource for materials and a destination for those wanting to find an agent. We incorporated a variety of elements into the site to create a fun and informative experience for the end user.